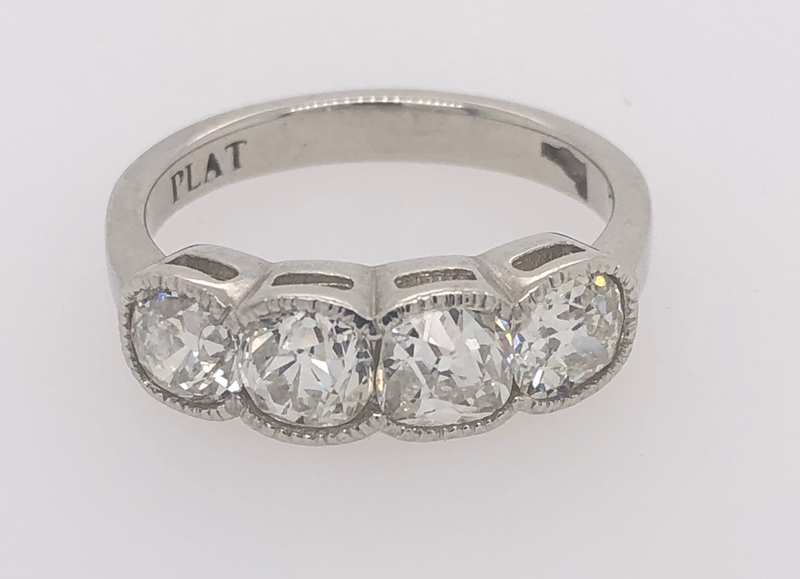 These incredible heirloom old mine cut diamonds were passed down through several generations- Needing a face-lift, we re-set them in this custom-made milgrain semi-bezel mounting! 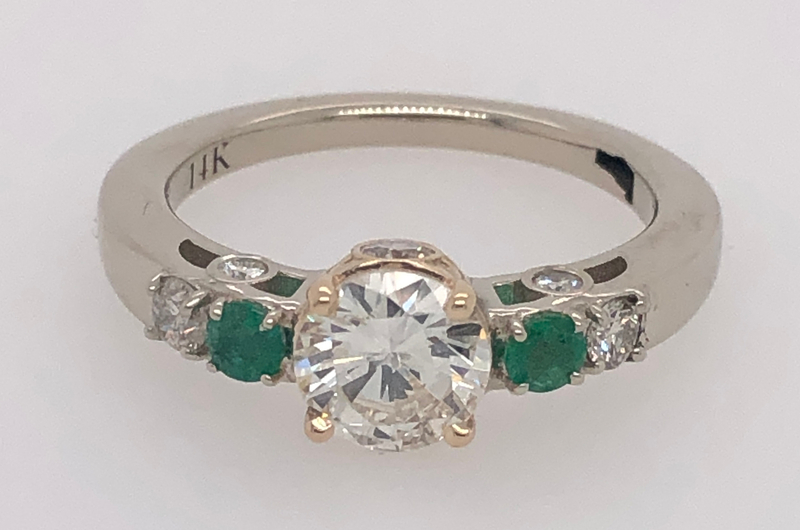 Beautiful Diamond and Emerald Engagement Ring! 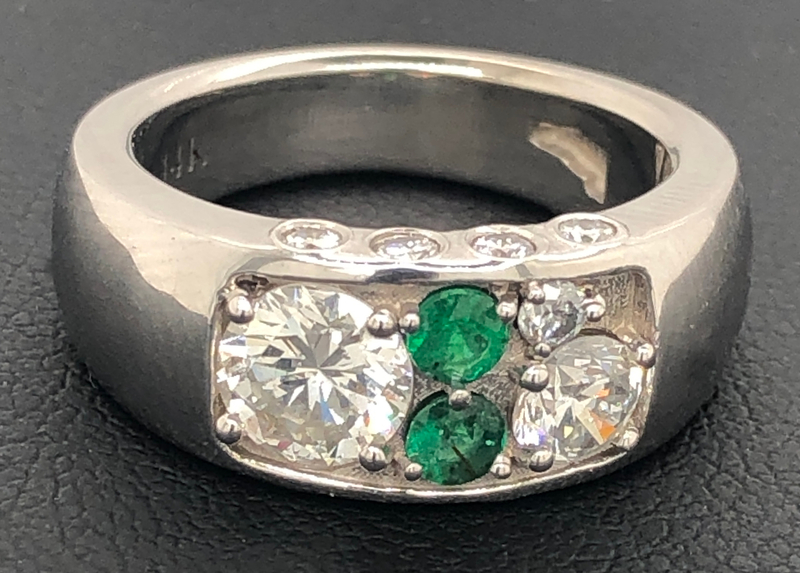 This custom-made mixed metal diamond and emerald ring is breathtaking! We took some uniquely-shaped diamonds and emeralds to create a unique one-of-a-kind masterpiece! 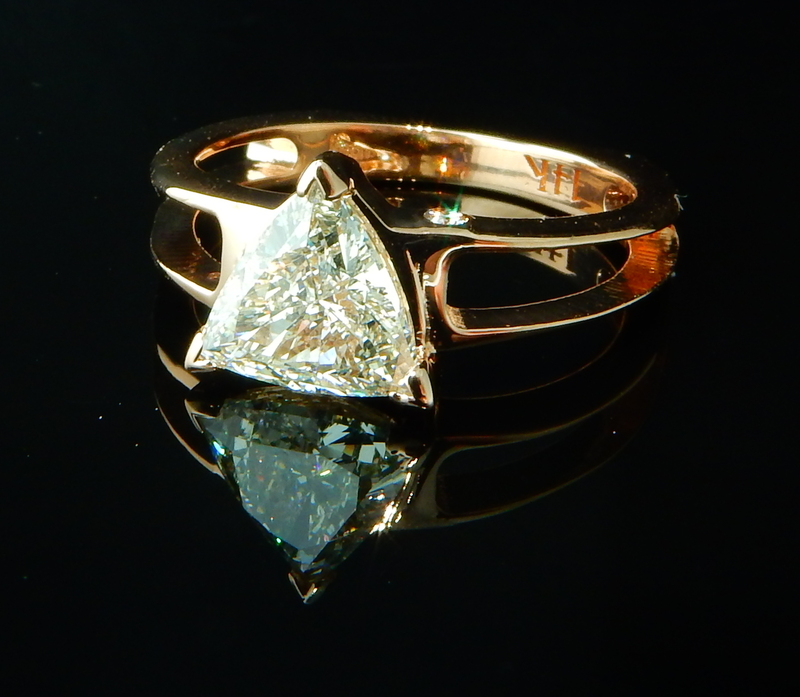 This custom-designed morganite and diamond ring is truly breathtaking! 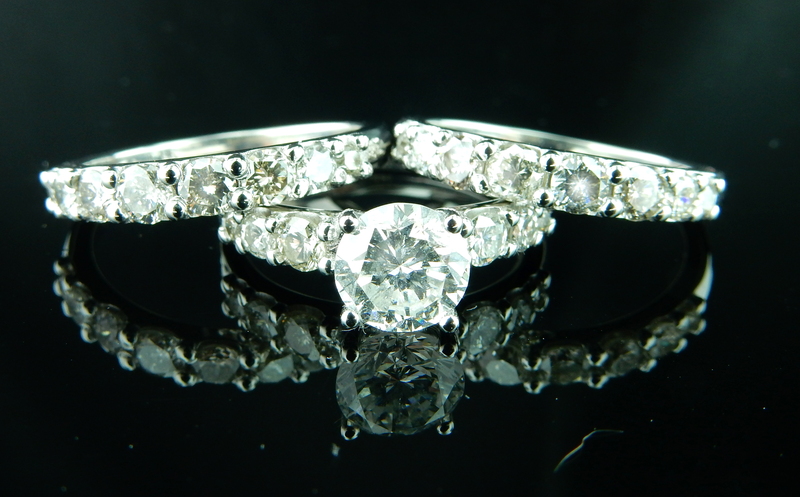 Setting this oval horizontally creates the perfect, delicate look! 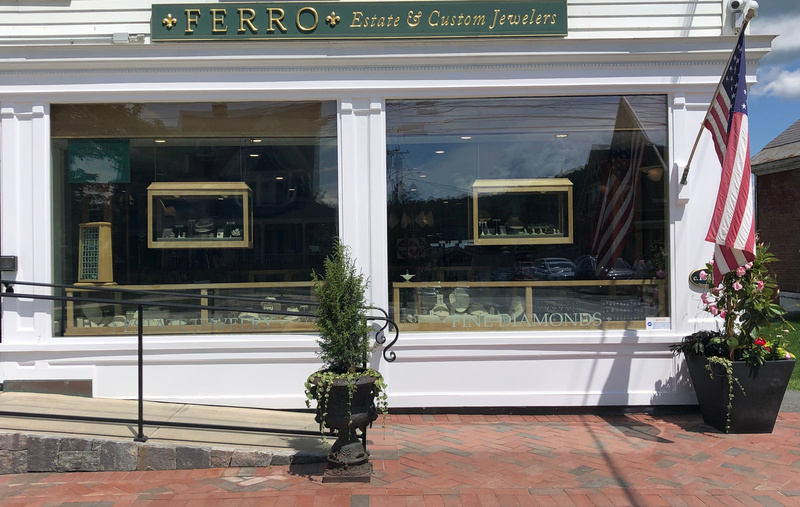 This gorgeous 0.89ct trillion diamond was set into a custom-designed mounting right here in Stowe! The split shank really highlights the beauty of this uniquely shaped diamond. 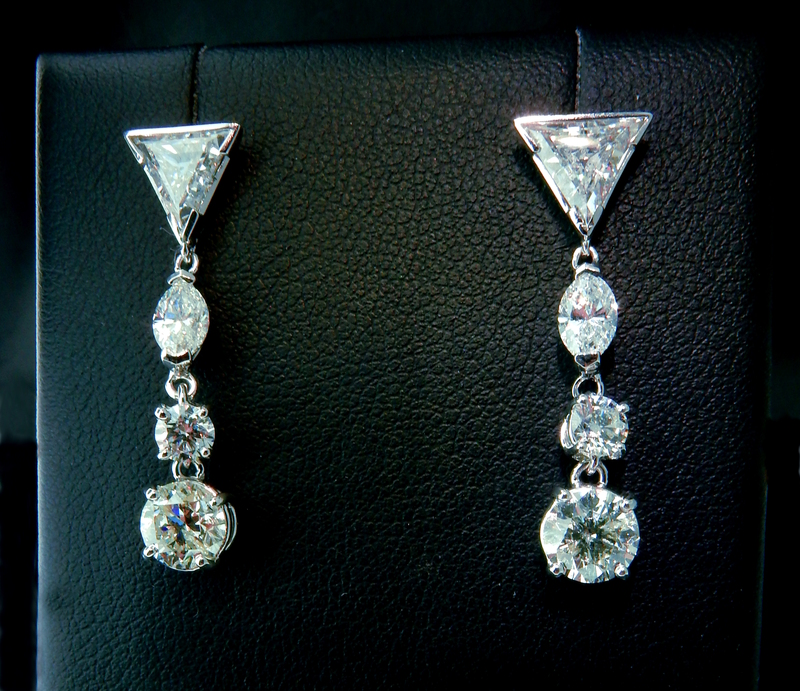 Stunning Multi-Shape Diamond Drop Earrings! These incredibly elegant earrings came from a project to jazz up a pair of diamond studs! Adding a trillion, marquise, and another round diamond on each earring, these are now ready to hit the town! 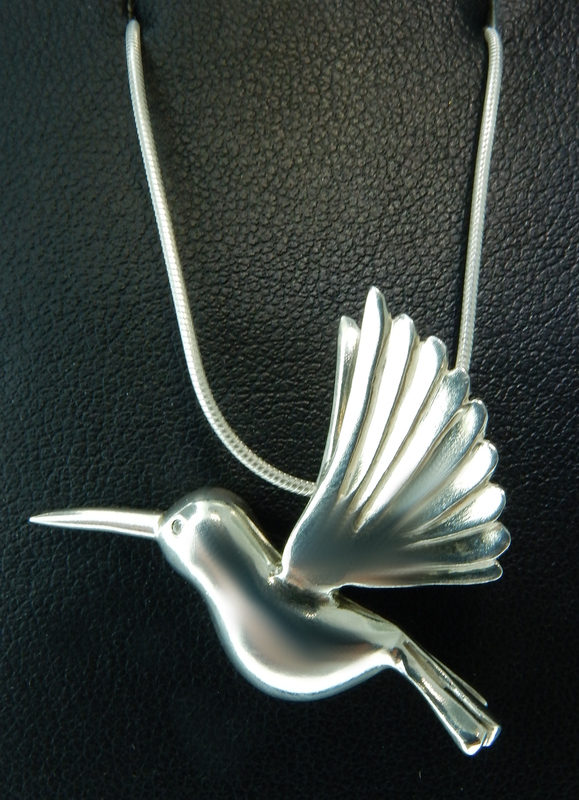 This sterling silver hummingbird was hand-carved by our master jeweler Ted, who seals it with the ashes of a loved one. 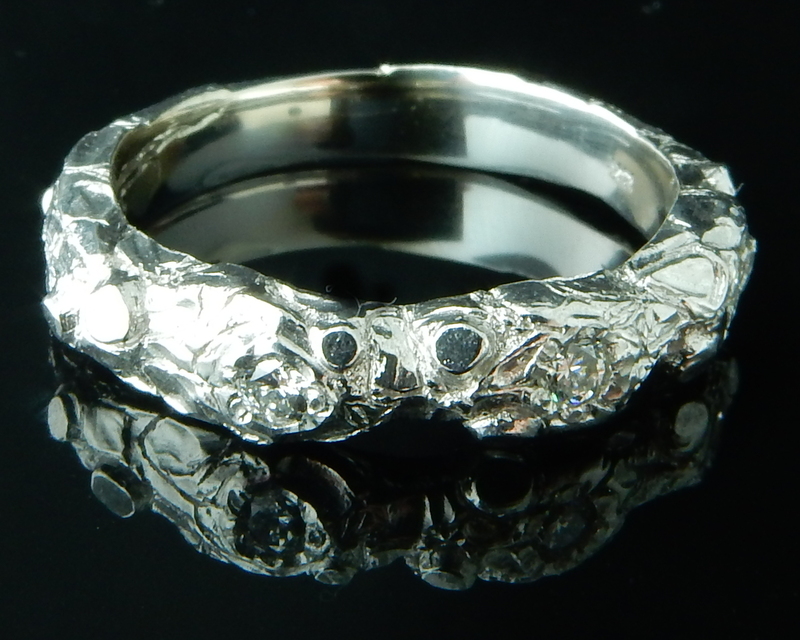 Per customer request, our master jeweler hand-carved this gorgeous diamond band with a bark design! 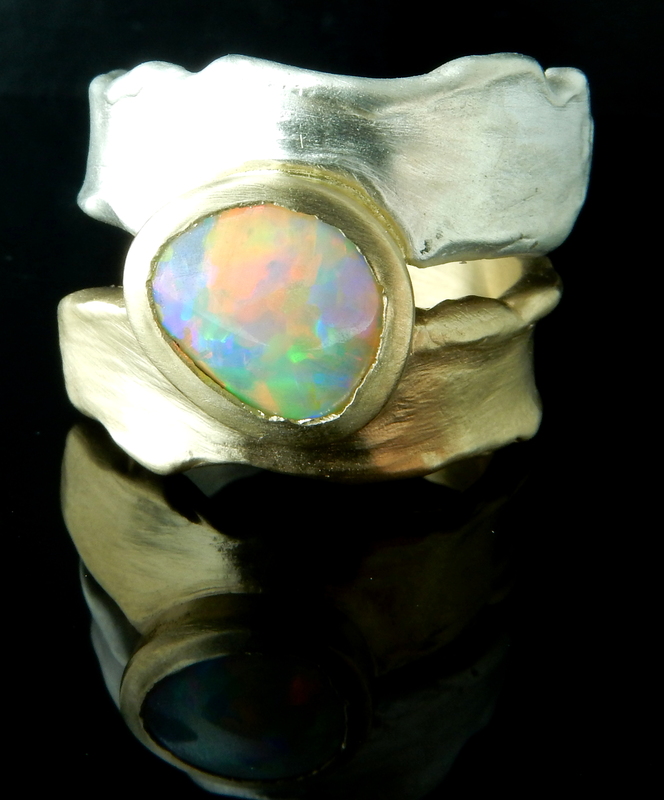 Our master jeweler hand-carved this custom setting around this loose opal to create the most unique look! 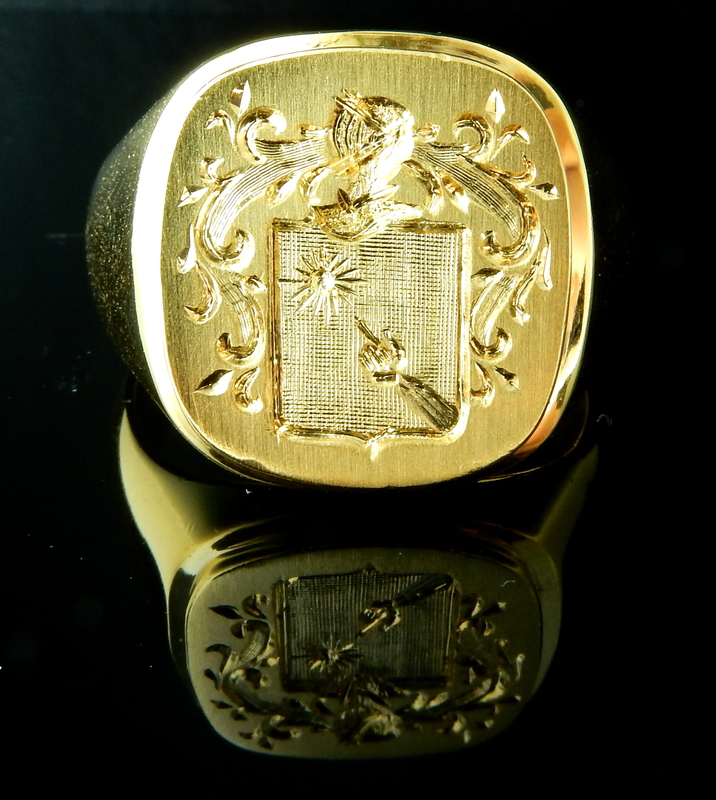 We can take any family crest or image to hand engraved on any metal type ring, pendant, earrings etc! 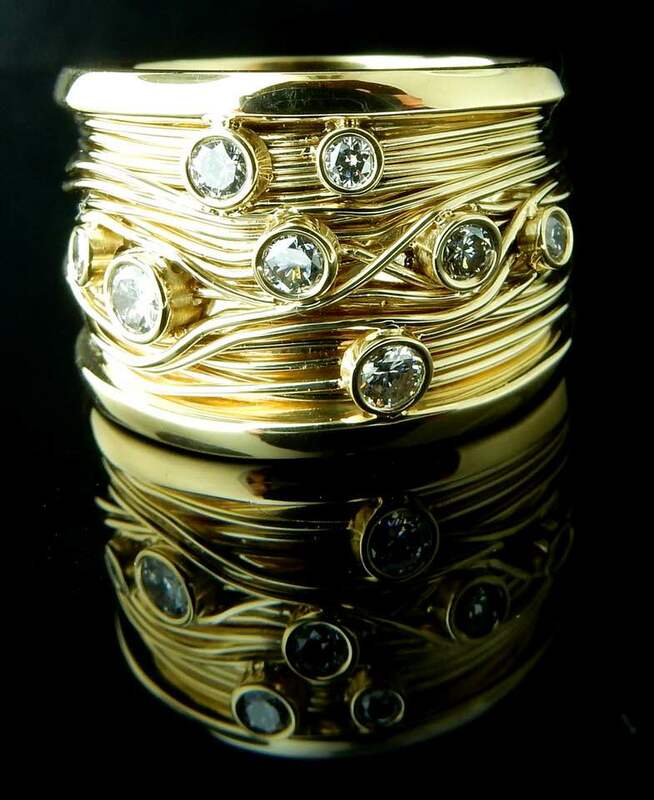 Ferro Jewelers hand made this solid 18K yellow gold band with 18K yellow gold wire and bezel set diamonds. 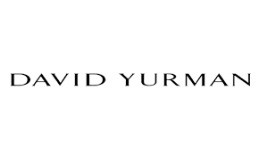 Diamond quality is F VS1. Customizable in any metal with any stone type. Engagement Ring with Matching Wedding Bands! This gorgeous re-design of an engagement ring brought some extra sparkle to this wedding set! 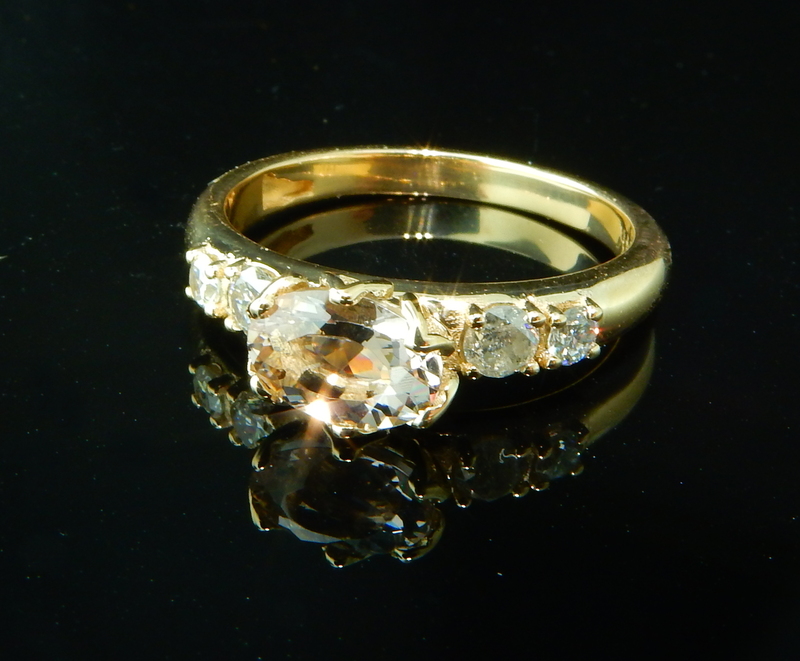 Using an existing center diamond, we added accent diamonds with TWO matching wedding bands!